NITV is welcoming back The Point on screens tonight with a fresh line-up of indigenous talent to deliver a daily wrap-up of the stories and issues that matter to first Australians. 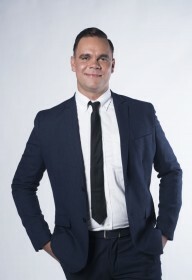 NITV veterans Karla Grant, Natalie Ahmat and Ryan Liddle will be joined by digital journalists Rae Johnston and Allan Clarke to offer a uniquely indigenous approach to news and current affairs. Tanya Orman, channel manager at NITV, said: “We are excited to be back with The Point after a successful first year. “We are constantly evolving and responding to our audience feedback, and this year have a multitude of voices sharing the hard-hitting news and stories that matter to our community. The Point will air from Monday to Thursday, starting tonight at 9pm, while The Point Review will air on Fridays from 7 April at 9pm.